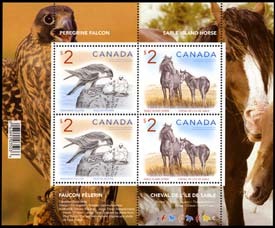 A new series of high-value stamps first made their appearance October 15, 1997 with the issue of Canada's first $8 stamp. Two additional values were released in October 1998. 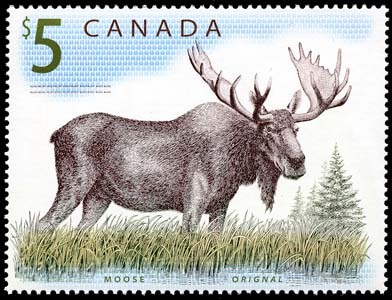 A fourth value, the $5 Moose appeared in December 2003. 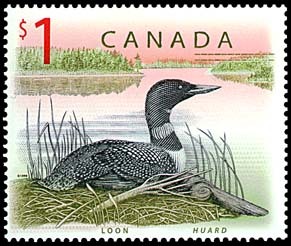 Two new $1 values were issued in October 2005 to replace the stamp issued in 1998. 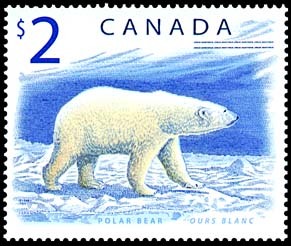 Two new $2 values were issued in December 2005 to replace the stamp issued in 1998. 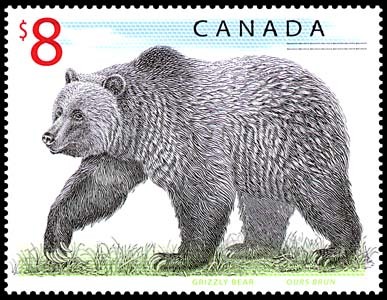 The $8 Grizzly Bear was issued in panes of 4; field stock (no inscriptions) and philatelic panes (only LR inscription blocks) exist. 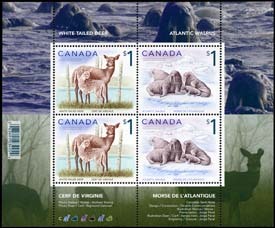 The $5 Moose was issued in panes of 4; an inscription appear beside all four stamps. There is no barcode on the pane. 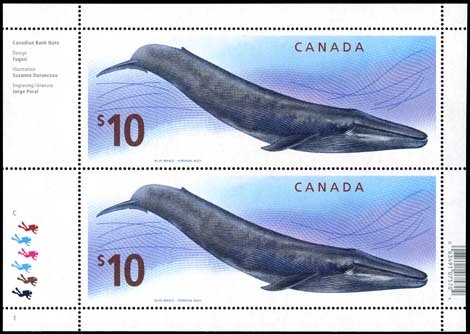 The $10 Blue Whale, Canada's largest and highest denomination stamp, was issued in panes of 2. Under a ultraviolet light, hidden features appear. 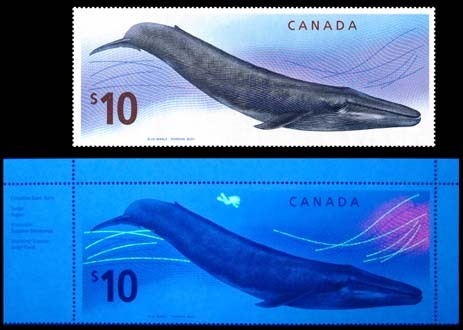 The original (1998/2003) $1 & $2 stamps were issued in panes of 16. The Feb 4/03 reprints have a barcode in the right hand selvedge (as part of the LR plate block).